I continue to see posts on various RV forums saying "I had a blowout on my tire. I checked the inflation every day and I didn't hit anything. It must be because it was a (fill in the brand) or because it was made in (fill in the location). I'll never buy that brand or tires made in that location again cuz they are junk." If you are a follower of this blog you have seen this topic discussed previously but clearly there are folks out there who just do not want to be confused with evidence that doesn't support their pre-concieved notion of why tires fail. Lets follow an "autopsy" of a failed tire and see if we can improve people's understanding of how to "read" a failed tire so we have a better idea of the real reason it failed. If we don't properly understand the "WHY" then we probably will not take the appropriate action to prevent a re-occurrence. Here we note the size as 8-14.5. This is a low platform trailer tire. Many times used on Mobile Homes or construction equipment trailers. It is a bias construction and we can see the body ply at an angle. We see this tire is a Load Range F (12 Ply rating) tire. rated to carry 2835# at 100psi cold. Looking at the tread we see the tire "looks" great. As we continue to read the tire sidewall we see it was made in Thailand..
Now for some, that is sufficient. They say it wasn't made in the USA so it is a piece of junk. Lets continue and see if they are correct in their analysis. The DOT date is 2812 so since this tire failed mid June 2013 or about 2613 the tire is only 1 year old and clearly since it came from Thailand there were probably 3 or 4 months for shipping and handling in a warehouse. Clearly the tire age is not the problem. The first two characters of the DOT"2B" can be translated using out decoder web site and we learn the tire was made by Deestone Ltd in Samutsakom, Thailand. Continuing on we see the tire is Nylon body which would be consistent with a lower cost, bias, heavy duty construction. Now we get to the interesting part. Looking at the actual area of the failure. In the picture at the top of this post you can see that both sidewalls have significant damage. As we look at the area of the tire that actually failed we see frayed cord. This is what Nylon and Polyester look like when they fail in tension. Looking closer we see that not all cords are frayed. These three cords have the look we see when we cut Nylon rope and fuse the ends with a lighter. Warning Technical Information to follow: Nylon and Polyester both melt in the range of 395°F to 495°F depending on the treatment and exact material involved. These materials also lose about half their strength when heated to over 300°F. Looking even closer at those cords it is clear the ends are not frayed but fused. So we now have the physical evidence that parts of this tire saw temperatures approaching or exceeding 400°F. The only way to generate that kind of temperature is with rapid, extreme flexing. We see rapid flexing at highway speeds. We see extreme flexing when a tire looses say 50% or more of its proper inflation. The heat in a tire comes from the bending of the cord material and radiates outward to the cooler surface. It is illogical to think that only a few cords somehow flex enough to see high temperature and if we look closely all around the area of the most damage there are a number of cords showing similar heat damage. So we now have physical evidence that proves operation at highway speed for a number of miles while the tire is significantly under-inflated. Knowing this, I think you can understand that there was probably some other cause such as a leaking valve or puncture or cut of the tire that allowed the air to leak out over time. If the tire had in fact been properly inflated we would not see the 360° circumferential flexing and signs of high heat. How do we avoid this type of failure? Will changing the brand prevent air loss? Will buying tires made in a different country prevent them from getting too hot when over flexed? Clearly neither of these "fixes" will prevent a reoccurance of this type of failure. 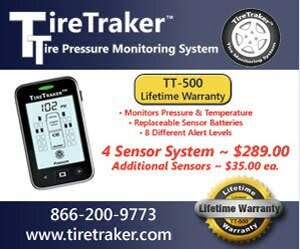 I would suggest a TPMS could provide warning if there is an air leak. That warning might be early enough to allow the driver to stop before the tire fails and maybe even before the tire is significantly damaged. I would say that 95+% of tires I have seen with this type of "blowout" failure were in fact Run Low Flex failures. Having inspected many thousands of tires in my 40 years as a tire engineer, I have accumulated enough experience to be able to observe and find the physical proof of high heat damage similar to what we see here. Many times I can find and identify this proof in less than a 30 seconds. It's easy once you know what to look for. Hopefully the next time you meet someone that says "I just had a Blowout" you will be able to identify the evidence that points to a run low flex so the person learns they need to know why the tire lost air. If it were say a leaking valve it certainly will do them no good to buy a new tire and mount it only to have it suffer the same fate.